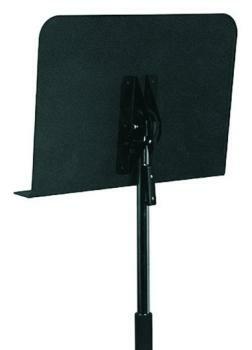 Stand Lamp with clip on brackets, Black Matte finish. 8" shade. Includes 40W bulb, 8 foot cord, and Rotary Switch on the shade. 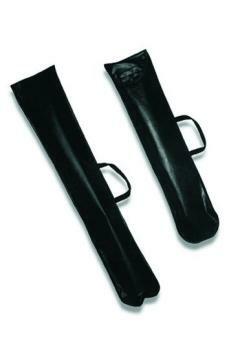 Exclusive 360 degree clamp grips the entire circumference of the inside tube, and locks it in place. It features an easy-to-tighten captive knob that cannot be removed. 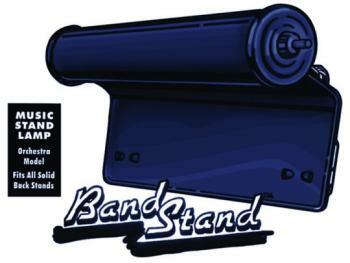 You can adjust the height of this stand's desk with only one hand! The innovative trigger lock makes it possible. Just squeeze the trigger and the desk slides smoothly to the height desired. 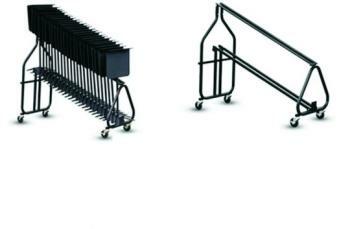 Carrying bag for 2 section stands: KB400N or MS2020. 22 3/4'' X 4 1/4''. Tough, lightweight and easy to maneuver. 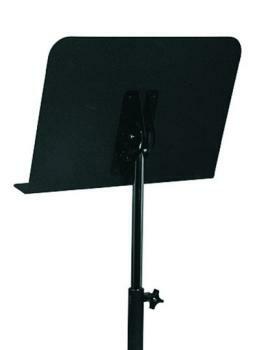 Holds up to 25 stands (it's compatible with most orchestra stands) yet takes up a surprisingly small amount of space.